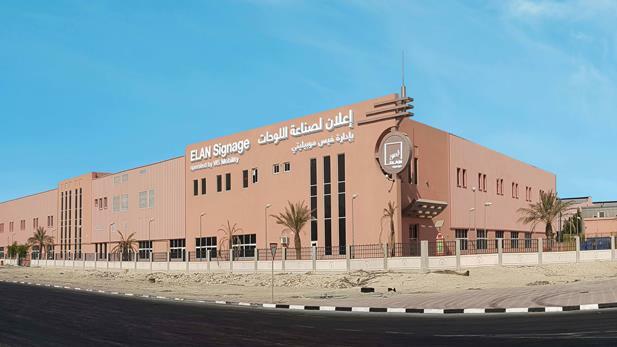 Founded in 2012, Elan Signage is a 100% Qatari company that manufactures traffic, industrial, and way finding signs. The factory, which is in the heart of the new industrial area in Doha, uses the latest technologies to produce signs with very durable aluminum and steel, and high-quality silk screen and digital printing to deliver highly reflective signs. With 12,000 sqm of fully air-conditioned factory space equipped with elaborate utilities and back-up power generators, Elan Signage has a solid capacity to produce over 200,000 signs per year to independently fulfil demand from our local clients. ELAN Signage’s factory is operated by VIS Mobility, the leading Italian company in the design, manufacture and installation of road signs, rail signs and furniture for public infrastructures with more than 50 years of experience in Europe. Boards and Gantry of large board signs for road directions with supporting gantries. Traffic Signs of all sizes, colors, and shapes (discs, triangles, arrows, octagons, squares). Industrial Signs of various shapes and sizes including building signs and wayfinding.